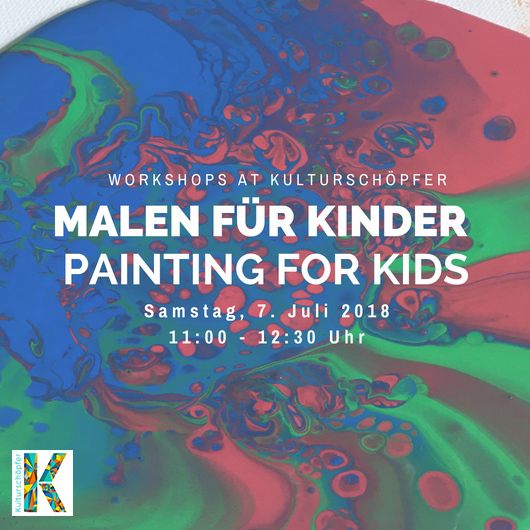 This painting workshop is for kids. We will learn how to layer and pour acrylics to create spectacular abstracts paintings. The paints have a mind of their own and most of the fun is watching what happens as various colors slide over each other, pulling and repelling as they make patterns. No painting experience required. We will have several adults present to help keep the adult to child ratio low. Parents are encouraged to participate as well. Participant Fee: 5€ per participant.